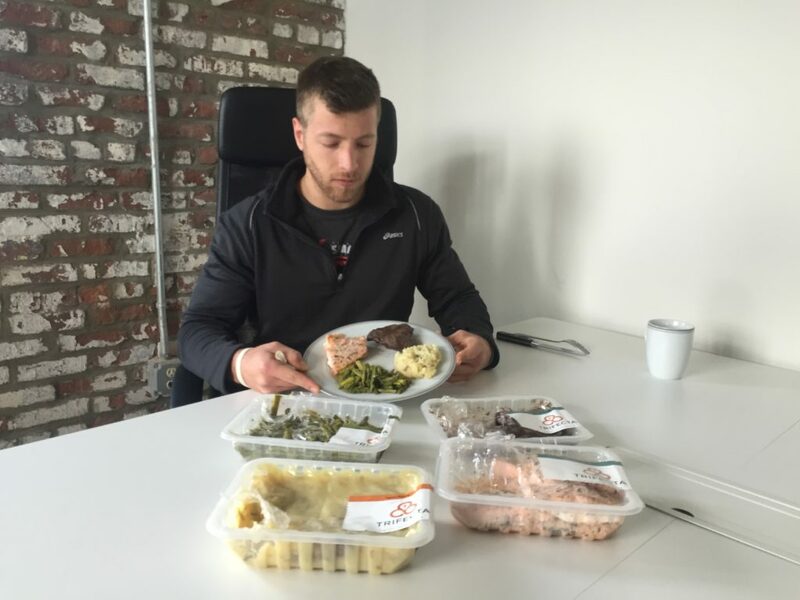 Home » Trifecta Nutrition Review – Good for Paleo Eaters and Athletes? 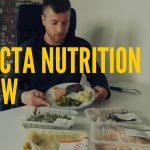 Trifecta Nutrition Review – Good for Paleo Eaters and Athletes? 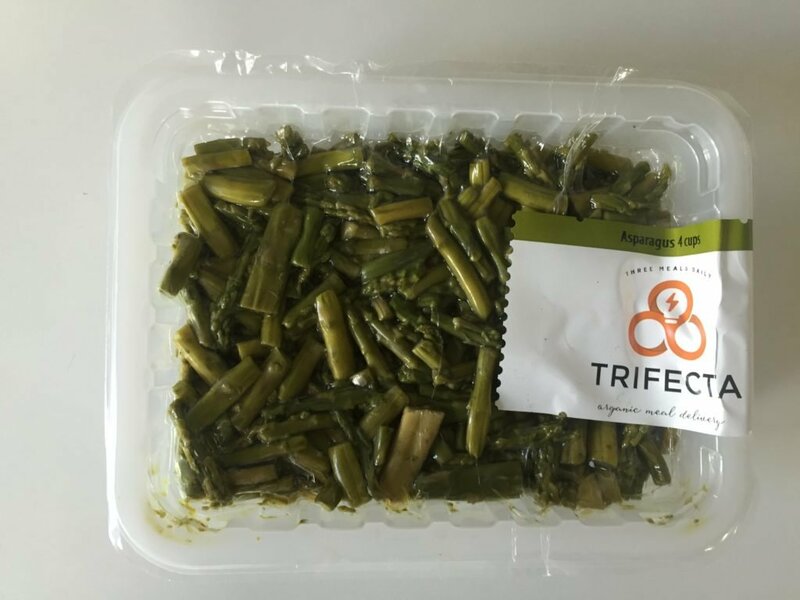 Trifecta Nutrition is an organic food delivery service that offers a wide variety of ready-made meal options for the health conscious individual. They offer different themed meal plans such as paleo, clean eating, vegetarian, vegan, and classic. There’s also an a la carte menu that has a few of Trifecta’s protein, carbohydrate, and vegetable options. All of Trifecta’s foods are organic and GMO free, which make them viable options for busy individuals aiming to consume natural foods. We tested their food in taste, appearance, nutrition, convenience, customizability, and price. A consistent, well priced, organic, and straightforward meal delivery service ideal that topped our list for both athletes and vegetarians. 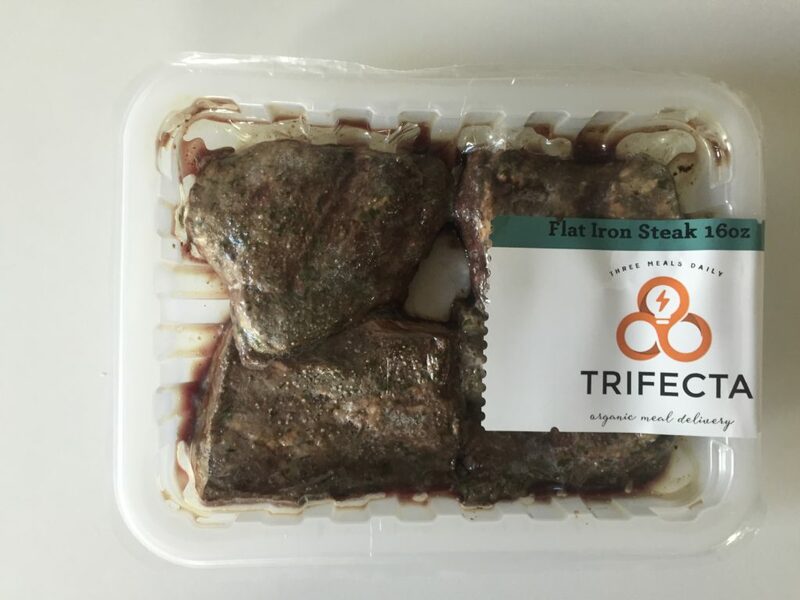 We received some of Trifecta’s most popular foods, and we reviewed their Flat Iron Steak, Salmon, Asparagus, and Sweet Potatoes. We prepped our meals in the microwave to be as consistent as possible with busy individuals. The meals come in vacuum sealed containers and aren’t previously frozen. I liked this aspect because often times fully frozen pre-cooked meals can lose flavor due to the thawing process. The proteins I tried was the highlight of Trifecta’s a la carte items. First, the Salmon was surprisingly tasty for being pre-cooked and heated in the microwave. I was worrisome about the salmon because I’ve never had fish in my pre-cooked meals, and I know how reheated fish can be. I was able to cut it easily with my fork, and I found it wasn’t overly dry in texture. Second, the Flat Iron Steak’s texture was also good. I personally like my steaks a little more on the rare side, so for being pre-cooked, I thought the steak did a good job at providing flavor without losing its bite. It cut well with a steak knife, which I was impressed with, because some pre-made steaks can lose their initial quality due to cooking and thawing. To give you context, the steak cut well, even if I didn’t heat it up in the microwave. The Sweet Potatoes were also pretty tasty. Trifecta’s a la carte sweet potatoes come mashed in a 16 or 32 oz. tray (serves 4 or 8), so I was most curious to see if they lost some of their density. Their taste was great, but they were a little on the softer side for mashed, which isn’t a big deal. I personally like a more dense potato, so that’s just a personal callout I had. Also, it was a little difficult to measure out a serving size without the proper tools. If you’re ordering this dish a la carte, I’d recommend equipping yourself with the tools to measure out serving sizes to avoid overeating. The Asparagus had a natural taste, which I liked. Some of the vegetables I’ve tried from ready-made meal services can be over seasoned, or lack flavor due to being previously frozen. I thought the vegetables tasted similar to if I cooked them fresh on-the-spot. They held their natural water well, and didn’t have an overly salty taste. 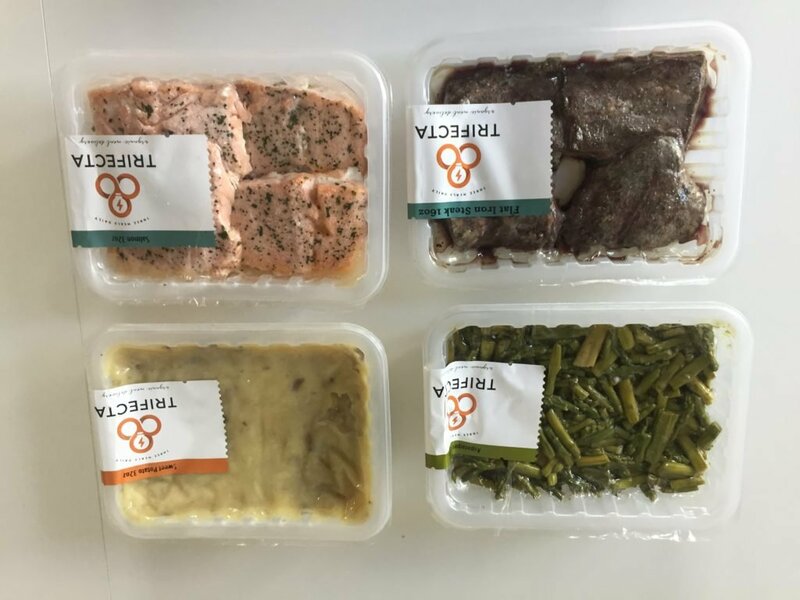 Trifecta’s meals come in vacuum sealed packages (similar to their a la carte items). The vacuum sealed packages are a nice addition for keeping the meals preserved pretty well, or lack of sloppy looking ingredients. Their a la carte items were placed nicely, and didn’t move around in the package like some looser containers can allow. One issue that always comes with same package meals, is that picky eaters may not like the mixing of ingredients. I thought Trifecta’s vacuum seal did a solid job at remedying this issue. The items we received prepped well and looked appetizing when plated. We microwaved our foods individually, so the meats, carbs, and vegetables were all separately heated up. 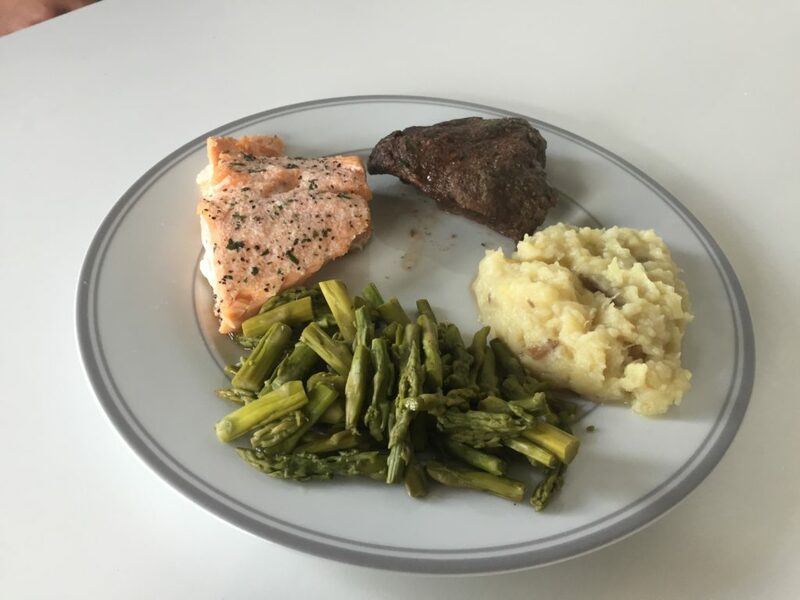 The only food that lacked a solid appearance after being heated up and plated was the salmon, which somewhat fell apart when removing it from the package. If you’re concerned with your meals appearance, then I’d recommend carefully removing meats and other foods that lack a density and easily break apart. Trifecta’s nutrition info is straightforward and easy to understand. 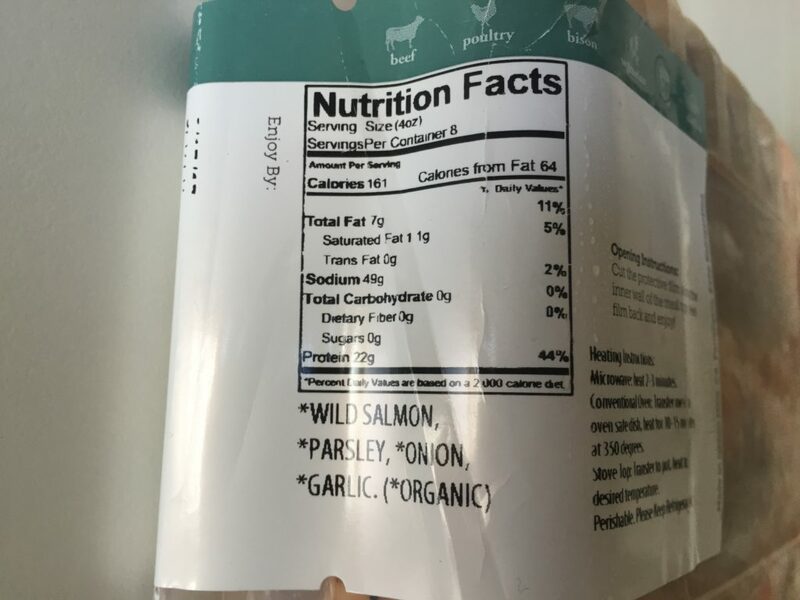 Their foods and meals have nutrition labels attached, which take away the guess work of how much you’re getting. If you’re ordering their meals plans, then you’ll see on the order page that there are ranges for the plan you’re selecting. I like this aspect because you gain an understanding of what you can expect from their plan’s meals. One potential issue I can see with the changing menu is the variance in the nutritional content (vitamins & minerals), but this is a small con since their options are natural. The a la carte items we tried came equipped with nutrition labels on their labels as well. When ordering these foods, Trifecta provides you with the nutrition information and your typical serving size. This made understanding how much you’re getting easy, but I did see one potential issue with some of their a la carte options. If you’re not familiar with serving sizes, then you may struggle measuring out a serving size in the larger containers. There are multiple resources out there covering this, but it’s a consideration that should be accounted for when scooping out individual servings. I think it would be cool if Trifecta provided some form of practical serving example, such as one serving of our potatoes equates to the size of your fist. It would take away the guess work for anyone who has no idea with serving sizes. The caloric totals in Trifecta’s meals are pretty consistent. As mentioned above, when ordering plans, Trifecta give you an idea of their meal’s ranges. 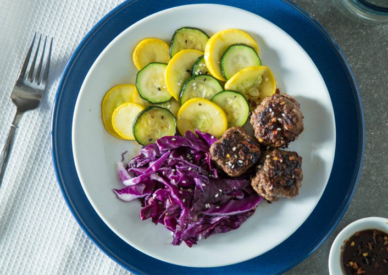 For example, if you were to order their Paleo meal plan, then you’ll see that each meal will range from 350-450 calories (and they provide macronutrient ranges). This is good for those looking for consistent caloric/macro totals in their meals. Some services vary widely, so I like this aspect about Trifecta’s meal choices. Their a la carte items will vary pending on what foods you select. They provide you with initial serving size totals before ordering, so there isn’t any guess work if you’re choosing a food you’re not used to. The only issue with calories with this is the possible variance of serving sizes. I mentioned it earlier, but it’s important to self-regulate serving sizes to avoid overeating some of their a la carte options. Below is an example of Trifecta’s five meal plans with minimum and maximum meals with their respective price ranges. Below is an example of what you can expect to pay for asserted a la carte items, like the ones we reviewed. These prices will vary pending on the food you order. The pricing for both Trifecta’s meals and a la carte items are pretty fair. With meal plans you’re looking at a price of $10-14.00 per meal, which will vary pending on meal type and amount ordered. A la carte items vary from $2-8.00 a serving, and will be dependent on what you order with meat being the most expensive. This service is more expensive than buying groceries and cooking for yourself. Yet, if you want organic, natural pre-made options, then I think their pricing is pretty fair. The only real downfall I see to their pricing is the minimum amount you have to order. Trifecta’s minimums may be a little daunting for newer consumers or beginners to pre-made meal services. Their prices are elevated to eradicate shipping costs, so keep that in mind if you think the price is high when initially ordering. Trifecta’s meal plan orders are pretty simple and straightforward. Deliveries are made every Friday, and they say to place your order by the Friday of the prior week to ensure proper delivery timing. You can also update your order as long as it’s a week ahead of time. They deliver to all 50 states. The site is pretty descriptive in how many meals to order pending on your needs, so there isn’t a whole lot of confusion there. They also explain what numbers to input (aka meal amounts & days a week) if you’re only interested in hitting the minimum amount. The a la carte items will be processed and shipped the same way meal plans are on the Friday schedule. If you want anything faster, then you can select to expedite the process, but you can expect to pay an additional shipping fee. Another factor I liked about Trifecta was their every other week meal delivery option. They add a notes section where you can pretty easily specify this option if you prefer every other week deliveries. Trifecta offers vegetarian meal options, along with vegan options. Vegetarian and vegan meal plans will be similar to other meal plans with their nutrition information and price. Also, some of Trifecta’s a la carte items are vegetarian, such as the carbohydrate, fruit, and vegetable options. Trifecta somewhat lacks customizability when it comes to meal plans. The meals rotate each week to match readily available local ingredients, and what it’s in-season, so what they buy is what you’ll be receiving. This makes it tough for those who want a consistent meal to count on each week. They do allow some customizability in their note section. You can specify if you don’t like certain foods or have food allergies. This gives you a little more power over what type of food you’ll be sent during the week. The only issue that follows with this is that you may receive duplicate meals, pending on available ingredients and your preferences/allergies. Is Trifecta Good for Weight Loss? This is going to be dependent on your goals and needs, but I think Trifecta could be a useful service for weight loss. Their meals are pretty consistent in caloric totals, so you can choose what works best for you. Also, they follow the Renaissance Diet, which has built a good reputation for delivering weight loss/sports performance goals. Of the food services I’ve tried, I personally think Trifecta’s foods were some of the better tasting options. I also enjoy that their nutrition is easy-to-read and shadows the Renaissance Diet templates. This gave me a little extra confidence in their resources and education behind their meal formulation. A few potential cons include their customizability of meal plans. 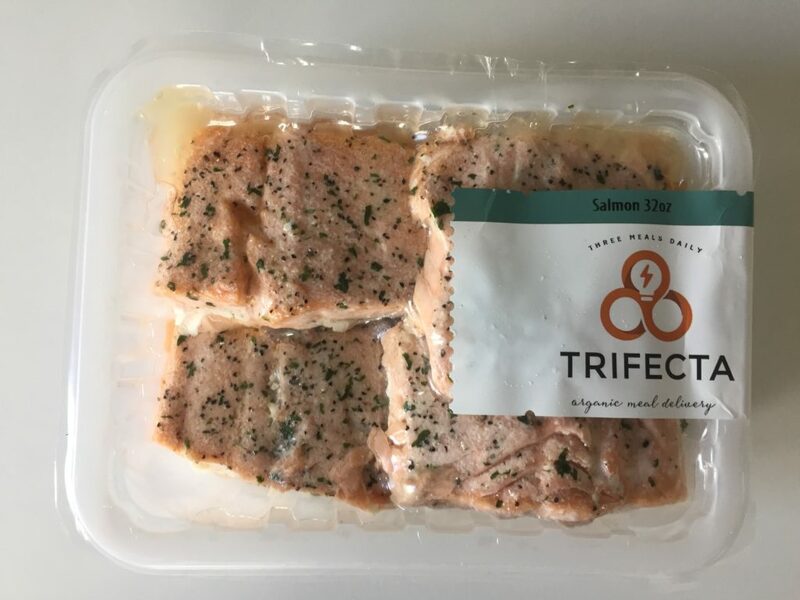 If you’re someone who wants a consistent meal, then you may not enjoy Trifecta’s rotating meal plans, and may fair better with strictly a la carte options. In addition, the order minimum is a little daunting, especially for a new consumer. If you’re someone who wants organic ready-made meals with solid nutrition background, then Trifecta is likely a good choice for your goals. I have to really take issue with your generally positive review. First, you can make a subscription but you can’t count on what you ordered being what ships. For example, I subscribed to the 5-day paleo meal plan; but what was delivered was 4/5 days of the clean meal plan and 2 random meals. You want to talk to customer support to find a way to make things right? Ha! They completely ignored my zendesk chat, and literally hung up on me when I called. You also can’t cancel your subscription from the website; they make you call the number and then just hang up on you. Don’t order from this company. The first and ONLY 2 orders I made were both screwed up and I have to still go to the grocery store and prep my meals. They promised me after the first screw up that it never happens. Then the next order same thing. Missing like half the order. Don’t get frustrated like I am. Don’t order from this company.